Since you are reading this page right now, the chances are that someone you love – a parent, a grandparent, or a family member – is currently a resident in a Massachusetts nursing home. And you’re reading this page because your suspicion – or perhaps intuition - is that your loved one is suffering from nursing home medication errors or being given improper medication. If so, this problem will require the professional intervention of a skilled Boston, Massachusetts nursing home medication error law firm or a Boston, Massachusetts nursing home negligence lawyer. 51.5 million medication errors occur annually; more than 3 million of them are potentially life threatening. 800,000 drug-related injuries occur in long-term care settings and nursing homes. 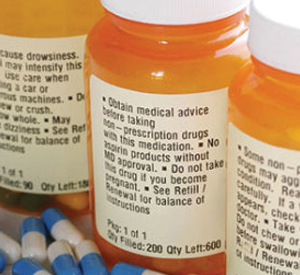 100,000 people die each year as the result of medication errors. Delayed delivery of medication and the administration of the wrong dose or the wrong medication are the two most common medication errors. Estimates are that only 1.5 percent of all medication errors are actually reported. The majority of nursing home medication protocols are inadequate in preventing medication errors. Medication errors – and worse – the intentional improper medicating of a nursing home patient (usually to “keep them quiet,”) happens far more frequently than most people would suspect. It has just recently come to light that a shocking number of Massachusetts nursing homes (as well as elsewhere around the United States,) intentionally administered anti-psychotic medications to patients who did not suffer at all from psychotic illnesses, but rather were suffering from dementia and Alzheimer’s Disease. A great deal of this was done as part of illegal “partnerships” with the drug manufacturers that marketed these drugs. The effect on the non-psychotic nursing home patients who received these drugs? Horrific: These drugs can turn a non-psychotic patient into a zombie, and result in substantially shorter life spans. And that’s just an example of intentional nursing home medication “errors,” not mistakes. Aside from intentional acts, then there are the real errors: Patients who are mistakenly given an overdose of medication they were prescribed; Patients being given a medication they were never prescribed; Patients not being given medication that they were prescribed; Patients being given medication irregularly, reducing its effectiveness. If you suspect that your loved one's injuries or death are the result of a medication error in a Massachusetts nursing home, contact The Law Offices of William D. Kickham & Associates at once at Ph. : (781) 320-0062 or Ph. : (617) 285-3600 or click here to send us a confidential email now. We can travel to the nursing home involved, or to your or home, to assess whether or not a valid Boston, Massachusetts nursing home neglect case exists. We will respond promptly to your call or email, and provide you a FREE INITIAL CONSULTATION of up to 30 minutes to discuss your concerns. If legal grounds exist to do so, we will intervene effectively to protect your relative's welfare. You will pay absolutely NO FEES unless we win your Massachusetts nursing home medication error case on your behalf. We have offices conveniently located off Route 128 in Westwood, Massachusetts and in downtown Boston, Massachusetts. Since you’ve done an internet search, you know that there is more than one law firm in the greater Boston area advertising a specialty in this area of legal practice. The problem is, not all these firms are, really, specialists. As a Boston, Massachusetts nursing home abuse and neglect law firm, we have years of experience in handling these specific types of cases. Our case successes demonstrate this. You can also click on the link later in this sentence to check out Attorney William D. Kickham’s professional biography. We know from both personal and professional experience how painful it is to have to put a loved one in a nursing home, and of how you worry constantly about their care and well-being. If you suspect that your loved one is being neglected in any way, through medication errors or otherwise, call the Boston, Massachusetts nursing home neglect lawyers at the Law Offices of William D. Kickham, now. We deliver compassion-driven, caring, and aggressive legal representation to victims of Massachusetts nursing home neglect and abuse. We don’t rest – and we don’t stop – until your loved one has been made safe again, and has been compensated for whatever harmful actions have occurred. Period. If you even suspect that there is a problem with the care your loved one is receiving in a Massachusetts nursing home, call us at Ph. : (781) 320-0062 or Ph. : (617) 285-3600 or email us confidentially, now. Solutions for the future mean taking action now. Call or contact us to discuss your questions.